The European-style rooms are equipped with a flat-screen TV, DVD player and Bose surround sound system. Fragrant teabags by TWG, as well as feather pillows, are provided. The French marble bathroom has double sinks, a separate soaking tub, rainshowers and Laboratoire Remède toiletries. 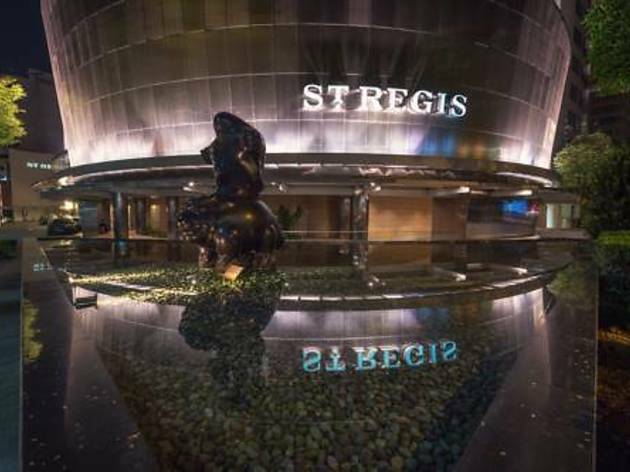 The St. Regis Singapore sits at the quiet end of Orchard Road, just 10 minutes' walk from the scenic Botanical Gardens. 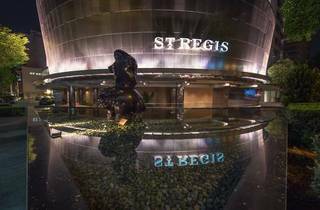 It is a 10 minutes' drive from the Singapore National Museum and Singapore Arts Museum. Sentosa Island and nightlife at Clarke Quay are a 15-minute drive away. At Remède Spa, relax with a massage or soak in a steam bath, all while sipping chilled champagne and custom-blended teas. Guests can also swim in the tropical spa pool, exercise at the 24-hour gym, or play tennis at the indoor courts. A 24-hour business centre is also available. Brasserie Les Saveurs serves French and Asian-inspired dishes, while LaBrezza offers poolside Italian dining. Other dining options include gourmet Cantonese food at Yan Ting, afternoon tea at The Drawing Room and cocktails at Astor Bar. Room service is provided 24 hours.